Beat the heat this summer and enjoy that well-deserve break with the whole family. 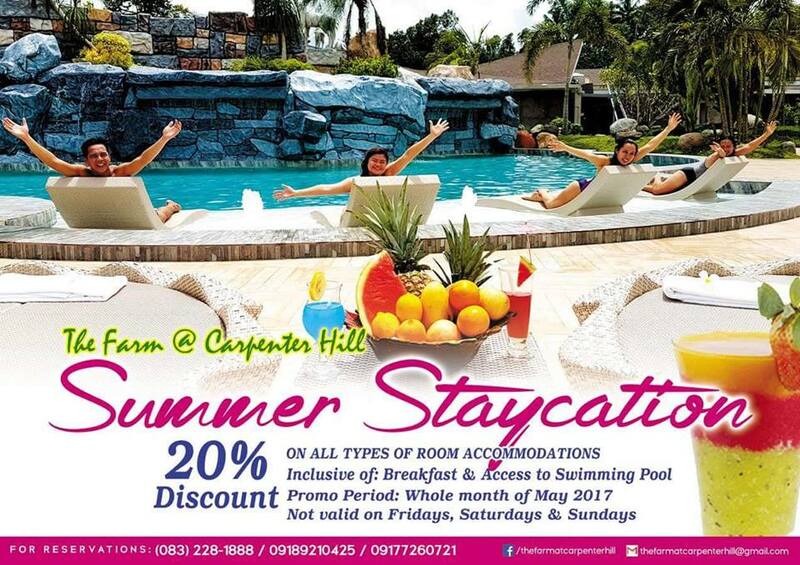 How about a staycation at The Farm at Carpenter Hill in Koronadal City? Just for the whole month of May, The Farm at Carpenter Hill is offering 20 percent off on all types of room accommodations inclusive of breakfast and free access to their newly-opened swimming pool! That's a great deal! Check out the poster below.